Before we get on to this topic make sure you don't miss out on my last blog on 'Building Depth Footwork Skills'! 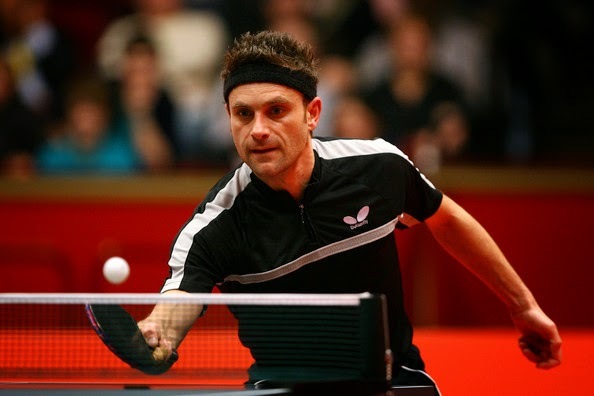 This question was submitted by Kris Sabas and is quite commonly asked in the online world of Table Tennis, 'How can I improve without playing significantly better players, training and playing with similar level players?' It's a great question. See more from my Coaching Blog. I grew up in a club where the level was not so strong. By the age of 14 I had already won and defended the club's under 40 competition event and had the upper hand on most of the players there. I had no coach after a 2 year spell to the age of 13 when my coach left and it remained like that until I was 18 years old and left to a new city to start university. Towards the end the players were significantly lower than me, so this is a topic I can relate to quite well. Drill your partners' Weaknesses: When playing people similar or lower level than you, you really want to focus on setting yourself above that level (the act of doing so creates competition which raises the whole group of players). When playing matches you want to focus on building the most efficient ways to win points. Specifically target the weaknesses of your training partners, if they continue to lose points then they will feel forced to make changes to improve their weaknesses. You can also give them suggestions on how they can improve, or let them know perhaps these areas can be worked on as you were able to win many points from targeting them. 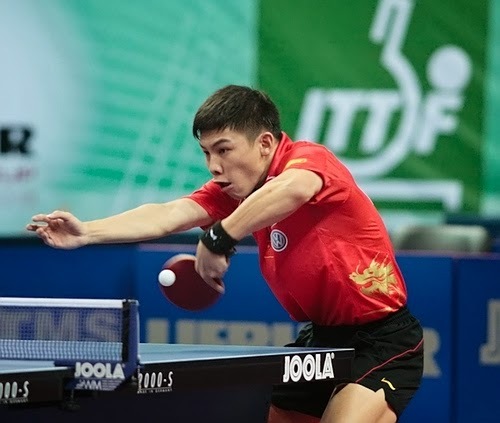 Solidify Basics: Technique and consistency and other basics like footwork and service are highly important in table tennis development. Regardless of level, maintaining a solid technique and consistency is important. No matter the level of your training partner, you need to focus on you. Make sure you are doing everything the best you can, make changes that you need to make so that you are playing the best strokes you can. Footwork is a big one, often if a player doesn't apply as much pressure in training or in a match we can get lazy. It is important to maintain focus against any level of player, high or low and to make sure you are 'going through the motions' correctly. This means winning points efficiently, moving into position, keeping body weight distributed low and not standing tall. Identify an Outcome of Every Match: Often I come across players significantly below my level in competition. It is important to realise that they can help my game. Whether I choose to focus on good placement, perhaps just practicing my blocking or even setting up for high balls and finishing points. Each person can offer you some form of practice in a match. It can be as simple as playing someone 1000 points below you and still finding the focus to play as if you were playing someone 1000 points higher. Making the most of every occasion to play is one of the biggest factors to making improvements. Practice Service: Service is not dependent upon anyone other than you. Of course peoples reactions to different serves is a pivotal part of the game, but improving service is down to hard work, discipline and commitment. Work on technical consistency, this means being able to serve short and low or long and fast with accuracy whenever you need to. Increase the contact to produce serves with more spin. A good service will quickly distinguish you from your peers as service is indeed a powerful weapon for any table tennis player and can be the key to winning easy points against some opponents. Multiball: Even though a player may not be a high level training partner, they can still learn how to feed high quality multiball. Multiball allows you to increase the quantity of balls fed during a drill. You learn to react to a higher speed and anticipation skills build. A player may not be high level but if they can feed high quality multiball then they are a strong asset to any training group. I once heard of a player in New Zealand who lived a long distance out from any training centre, he had a table in his garage but nobody to play with. Over the course of a month he taught his mother to feed him multiball. As they repeated this her ability to feed multiball grew over time to the point where he was able to achieve good training sessions. 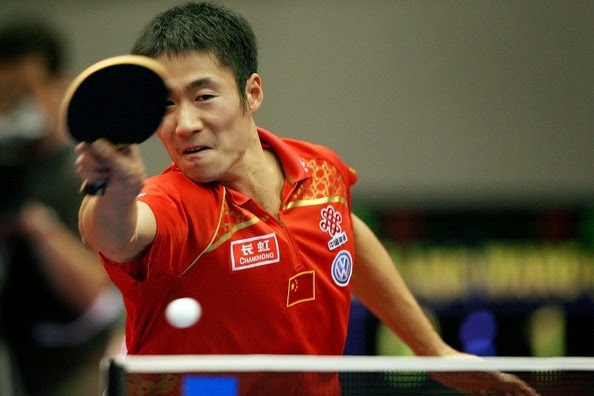 His mother was not a table tennis player so if she can do it, a table tennis player definitely can! Play Handicap Matches: When playing lower players, put the pressure back on yourself by giving lower players point headstarts. This not only means you have to win points more frequently than you opponent, but also improves your ability to execute under pressure. You will put more focus on wiping out low level errors in your game and build consistency and strategic structuring of points in order to win points efficiently and with confidence. Set plays are an example, you can produce a serve which gives a high probability return and then in pressure situations you can use that serve, being confident of the return you 'should' get and commit to playing a planned out point with it. A fresh question from Paul Shih, 'What type of strategies can be used against backhand dominant players?'. Great question, it's not often we come across these types of players as the forehand is so heavily favoured in table tennis so it pays to have an idea of what to do should you stumble across a strong backhand player. Here are some strategy ideas for playing backhand oriented players. See more from my Coaching Blog. Find the Forehand: First piece of advice is to target the weaker stroke. Often on serve receive these backhand oriented players will flip across a wide proportion of the table with their backhand. These players usually have weaker forehand serve receives. This is a common tactic you would also use against players with pips on their backhand also. You need to find the point at which your opponent will receive with their forehand. Once you know that point, you can either drag your opponent all the way across to play a backhand on one side of the point and open up space on the table, or you can target their weaker forehand receive on the forehand side of the point. Target the Forehand: A seemingly obvious tactic here, if the backhand is much stronger, then target the forehand. You also need to understand more about the strengths and weaknesses of the strokes. Your opponent may be weaker at opening with the forehand but strong in a rally, hence you would put extra pressure on service and receive to the forehand in order to force errors on the forehand ball. This is important because a stronger backhand doesn't necessarily mean a weak forehand, it's all comparative. 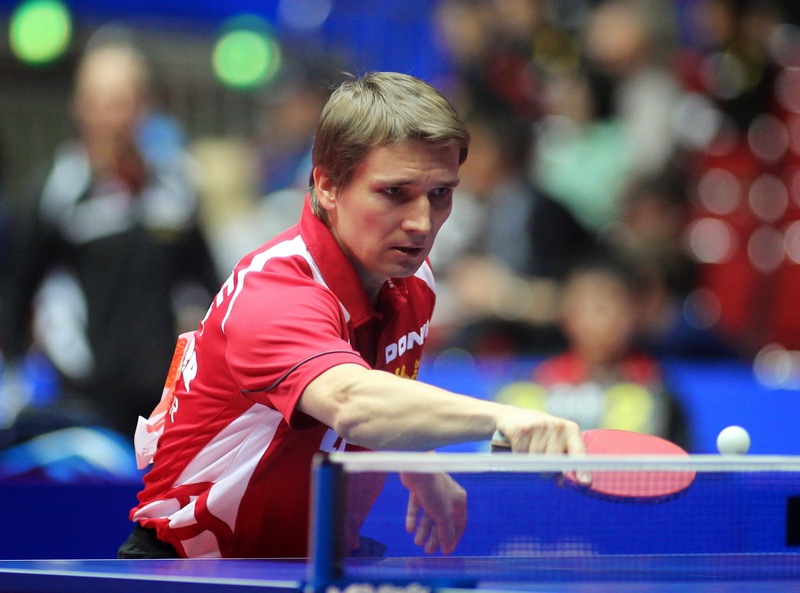 Where is the Strength in the Backhand: Is your opponent strong across the whole backhand side? 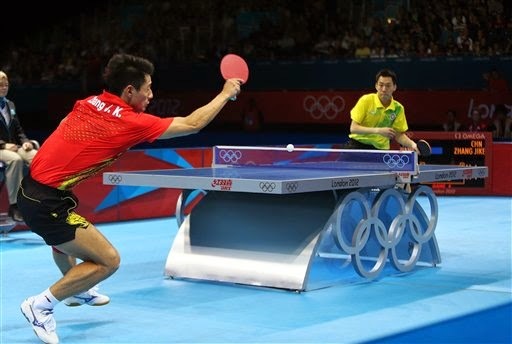 Do they play backhands across the middle of the table? Are they effective at covering their whole backhand half, how strong are they on the wide backhand? Remember a player can be strong within their comfort zone, test the limits. A backhand oriented player must always position themselves behind the ball for a stable, well controlled stroke, this means they have to be fast and always in the right place. Test wide balls and body shots and see how effectively your opponent deals with them. Tighten Up Shots to the Backhand: When playing to the backhand, make sure you play high quality strokes. Take away as much comfort as you can. Play long pushes with heavy spin, short pushes short and low to prevent full attacking strokes. Loop with good depth and good spin and play with lots of variation so as the opponent cannot build rhythm. Open The Forehand Corner: The wide forehand needs to be a big target in this scenario. Not only does it target a big movement to play the opponent's weaker stroke, but it opens up a large distance to recover and guard the space created on the backhand. Forcing the opposition into the corner or off the table on their backhand side will open up more space across the forehand. If you can exploit that and play wide to the forehand, the opponent will have a large space to cover. If their weight is not balanced when they arrive at that forehand shot, they may keep moving out on their forehand side after their stroke, opening up even more space on their backhand. These are only small tips, each player is different and a backhand player could be dominant or weak in a multitude of different areas of the game. The main tactics really are to target away from the backhand in order to create a situation where the backhand cannot be covered, at which point you have opened up a defensive gap and can exploit it to win points.